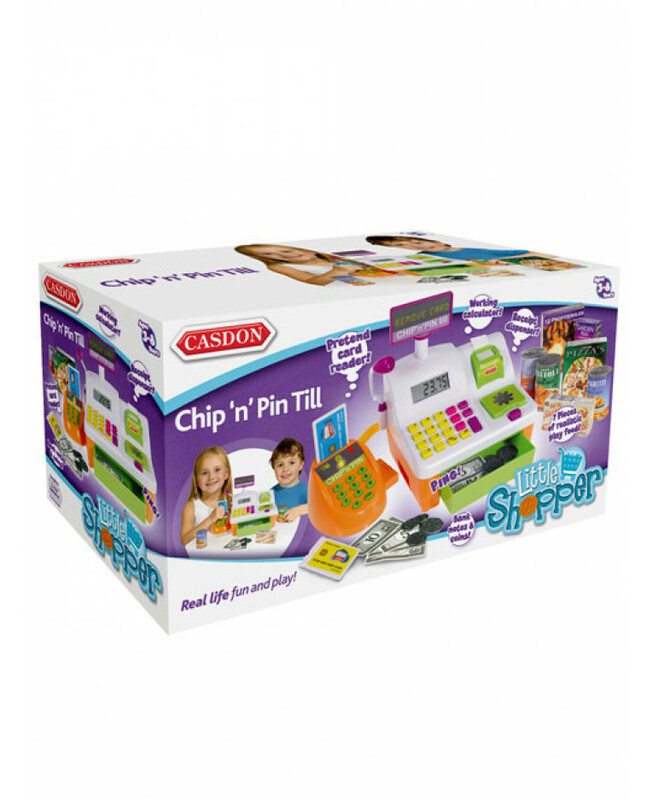 This Chip and Pin Till from Casdon provides hours of role-play fun! 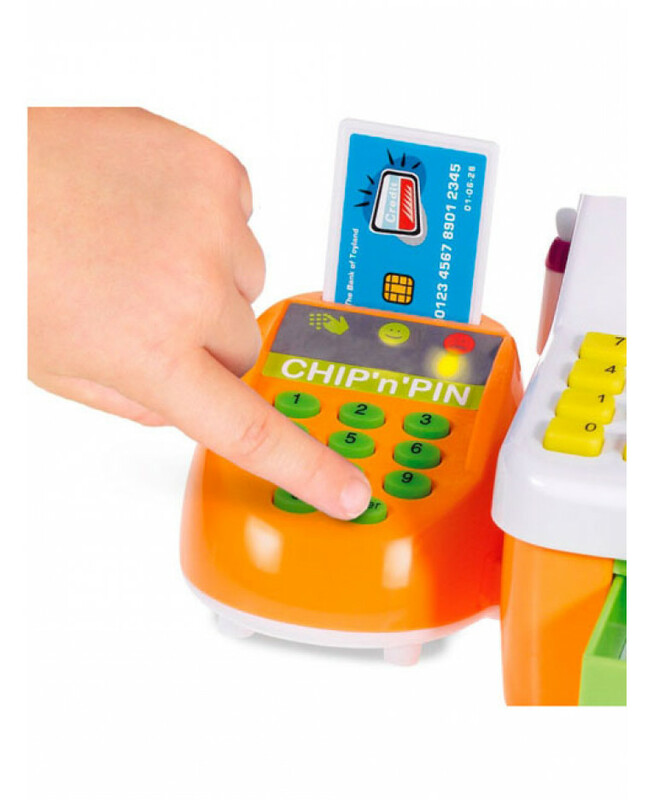 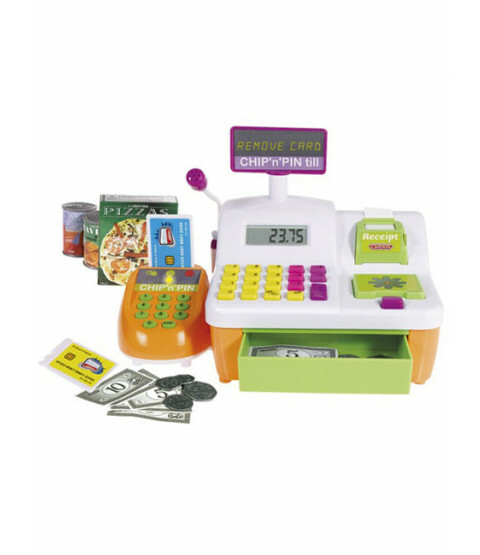 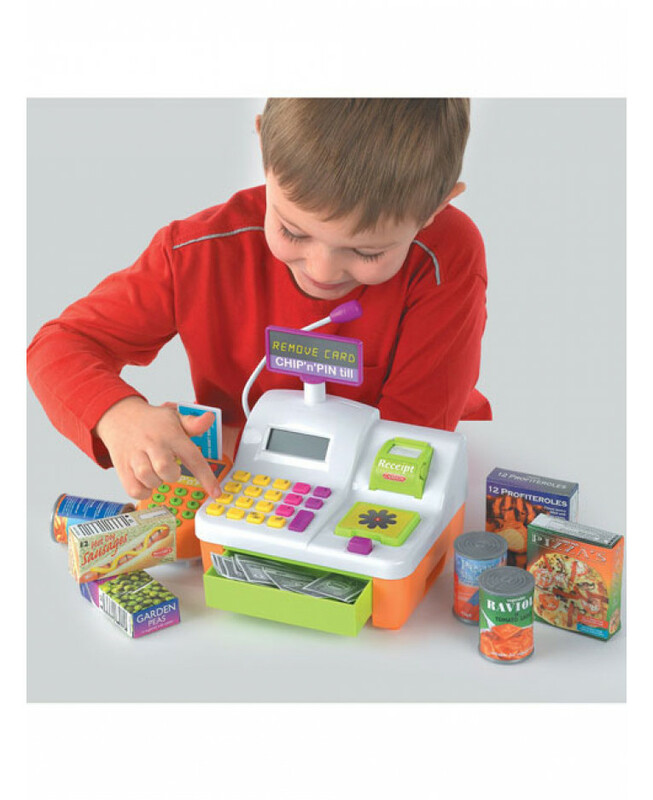 Perfect for playing shop, it comes with lots of accessories and features a working calculator with a receipt dispenser, card reader, branded play food and plenty of pretend money as well as two simulated credit cards with different PIN numbers. 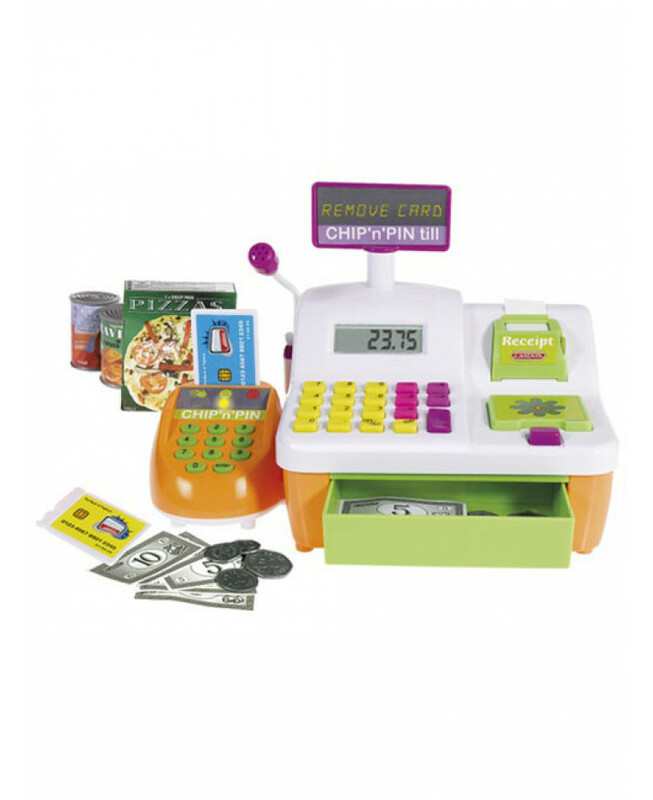 Not only is it a fun role-play toy, but this till play set also assists with the development of hand-to-eye-coordination, problem solving and motor skills, whilst the calculator and money develop counting skills.